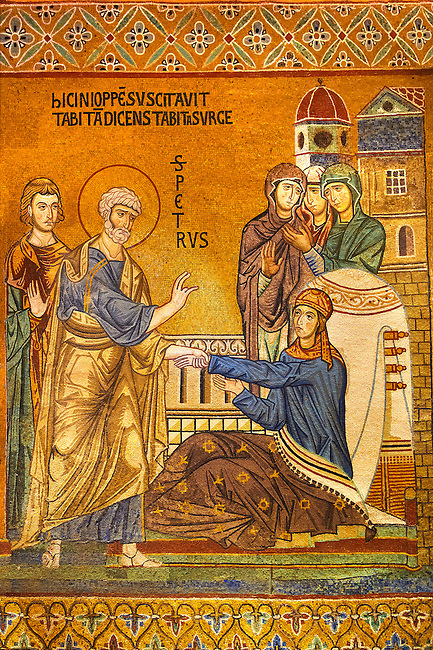 Byzantine mosaic of Tabitha being raised from the dead by Saint Peter. Tabitha is adorned with the garments she had woven for some widows and had given to them as charity. The Palatine Chapel, Norman Palace, Sicily travel photos & pictures available as stock photos, pictures & images & also to download as photo art prints.